Last month, Google announced the green-lighting of Project Jaquard. 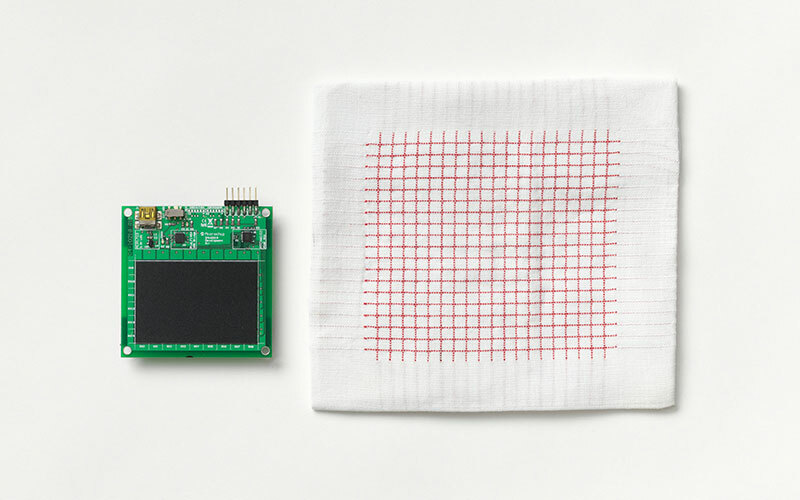 Jaquard is a special fabric that has the ability to communicate with electronic devices, especially smart phones. Google also announced a partnership with Levi Strauss, which will be the first clothing company to use Jaquard fibers in its products. If Jaquard is successful in creating the fibers as they have described them, they will be able to revolutionize the still in its infancy field of wearable technology. Currently, the number one draw of wearable tech to the average consumer is the information it can provide about their health and lifestyles. Products like the Fitbit or the Nike Fuelband can track how active we are and how long and how well we sleep. They provide a bevy of valuable information we can use to improve our quality of life. The major drawbacks that products like these have are twofold: first of all, they are prone to inaccuracy. Many health tracker products are wristbands, and while they are helpful, they can easily be duped. For example, waving one’s arm back and forth while wearing a FitBit can register hundreds of false steps. Second, these devices can often be annoying and uncomfortable. Project Jaquard would fix both of these issues without altering the core concepts these wearables follow. The fibers, as they are proposed, would be woven seamlessly into clothing we already wear. There would be no more bulky wrist watches or belt clips; tracking steps would be as simple as putting on a t-shirt. The Jaquard fibers would also effectively solve the accuracy problem these products currently face. Sensors could now be embedded in a person’s clothing directly on their torso or waistline, as opposed to on an outer limb, and thus would be able to more accurately measure body movements. Because of their placement, they could accurately measure many other aspects of a person’s life, including breathing rate, or more detailed information on sleep cycles. Although they are still a fair amount of work away from production, Jaquard fibers have the possibility to revolutionize personal wellness by granting the average consumer incredible amounts of data about their lifestyles directly onto their smartphone.